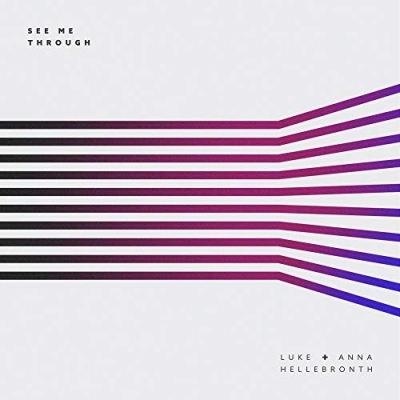 Worship Central's Luke + Anna Hellebronth have just released the second single, 'See Me Through', from their forthcoming new album, due out in March 2019. 'See Me Through' follows the UK husband/wife's first single 'Revive Us (Heavy Rain)', and will be followed by the singles 'Up & Alive' (11th January 2019) and 'Abide' (1st February 2019). The duo wrote 'See Me Through' alongside Jimmy James, Josh Gauton and Sam Bailey. Luke and Anna serve as worship pastors for Gas Street Church in Birmingham, England, under the leadership of lead pastor Tim Hughes. "Luke + Anna are two remarkable leaders who carry a deep cry to see God at work in the everyday. This new song ‘Revive Us’ (Heavy Rain) has already had a huge impact on our church in giving voice to a heart cry for more. I believe this is a significant song for the church", said Tim Hughes, Worship Leader & Pastor.